Sci-fi and fantasy movie fanatics, rejoice. The latest installment in the series of Underworld films, entitled Underworld: Awakening, recently hit theaters amid buzz after the vampire-thriller series' three-year hiatus. 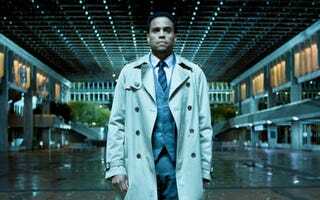 Actor Michael Ealy, popularly known for his roles in the movie Barbershop and the new USA TV series Common Law, plays a driven detective out to defend vampires from the threat of humans. The Underworld series of films have been a relative hit at the box office, the three previous films bringing in almost $300 million. The latest chapter is expected to drive thrill-seeking moviegoers to the cinema. Underworld: Awakening is now playing nationwide. Previous recommendation: Hollywood Honors Tuskegee Airmen in New Film.